As the usual set up for dramas, flashbacks are important to set the atmosphere of the story and provide a background to the characters and what affects their decisions and actions as adults from their early years. I’m truly amazed by the child actors who carry out their roles as the younger versions of the characters so well and it’s not impossible for them to outshine the adult actors. A fun fact: the actor playing little Ddol-Bok was also the junior City Hunter. 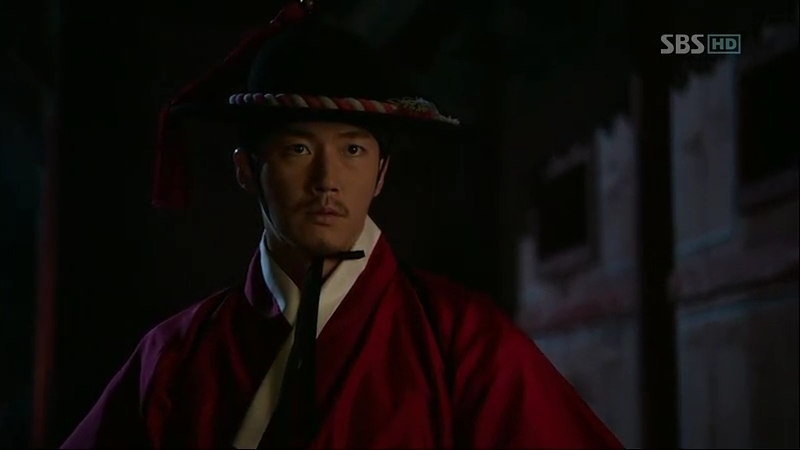 It starts off with Kang Chae-Yoon (Jang Hyuk) calculating and estimating his steps and chance, while plotting his plan: to execute King Sejong with his own hands. Putting himself in his own self during the day, he starts to take off to Sejong (Han Suk-Kyu), only to be blocked by series of arrows digging into his body and in close proximity with Moo-Hyul, Joseon’s greatest swordmaster but he’s clearly the loser. Calculating his slim chance, he returns to his real self, postponing his plan. Chae-Yoon wanders around while taking notes on patrols and his chance, when he’s served with an opportunity of being in such a close direction with his prey. Sejong comes into contact with him, followed with some guards. While kneeling in front of him, precisely five steps, he starts to estimate his percent of success, only to have his hope crashed: Moo-Hyul (Jo Jin-Woong) comes to greet Sejong and kills Chae-Yoon’s opportunity. Sejong walks off to his destination, then he stops to ask Chae-Yoon’s name. He screams his real name, Ddol-Bok, in his heart, while the story goes back to time when he’s still a boy. While little Ddol-Bok (Chae Sang-Woo) is beating up another boy to know who bullied his father, Jo Mal-Saeng (Lee Jae-Yong) and Park Eun (Choi Jung-Woo) are questioning Kang Sang-In, a minister under Prime Minister Shim On, Queen Soheon’s father. 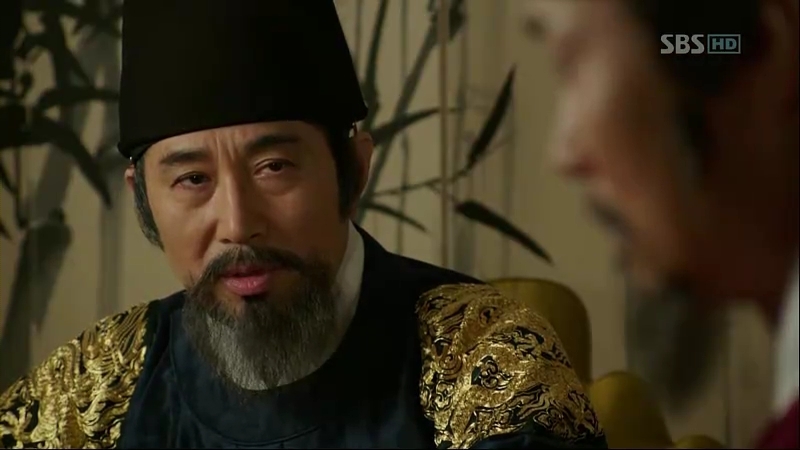 Jo Mal-Saeng confirms that this is all under Former King Taejong’s command and Park Eun swiftly tells Minister Kang to admit his crime as Taejong will never let his plan ruined. 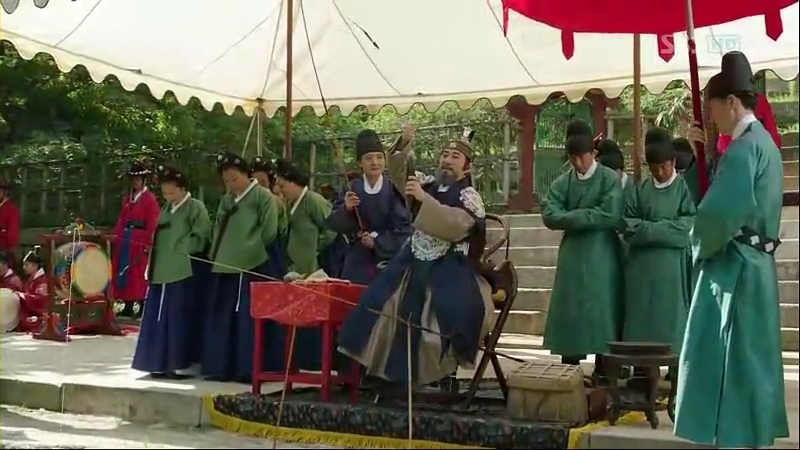 The servants at Shim Residency are having their good times while their master is off to Ming Dynasty. Ddol-Bok’s dad, Seok-Sam (Jung Suk-Yong), comes bearing their lunch while being teased by others. One of the servants, Gul-Sang, teases him further by applying make-up although others warn him about Ddol-Bok. 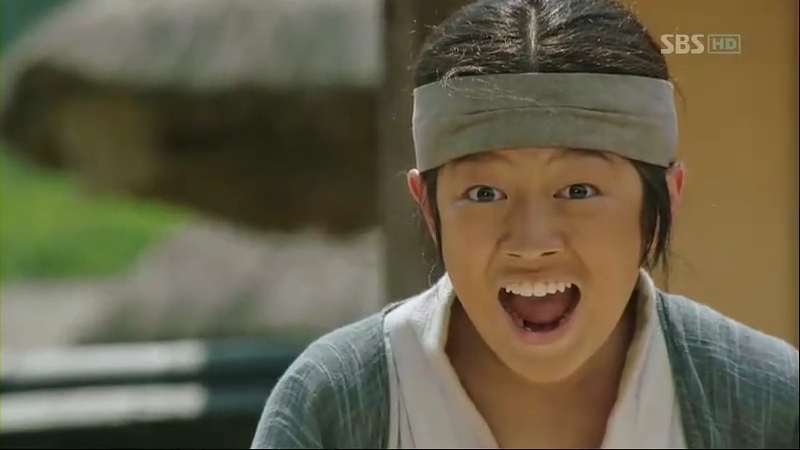 Soon enough, the boy comes and starts kicking him before being stopped by Shim Jeong, Shim On’s brother appearance. 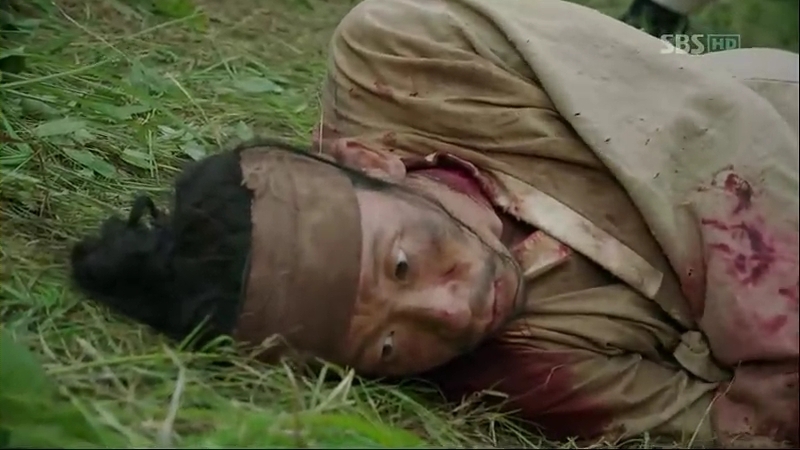 Both of them gets punished but not before Ddol-Bok offers Gul-Sang another hit. Ddol-Bok brings his father to the waterfall to clean his face and teaches his father how to defend himself. Telling his father how a father should defend his son just like what he did when he saved him from falling from the mountain, Ddol-Bok continues to teach his father. Dam-Yi (Kim Hyun-Soo), Gul-Sang’s daughter, applies some medicine onto him while nagging before she goes out to meet Ddol-Bok. They play a kind of word game together and exchange stolen goods from their master’s place. They return to the residency to find the guards hitting the servants, one of them Ddol-Bok’s father. Ddol-Bok rescues him and they run away, together with Dam-Yi. 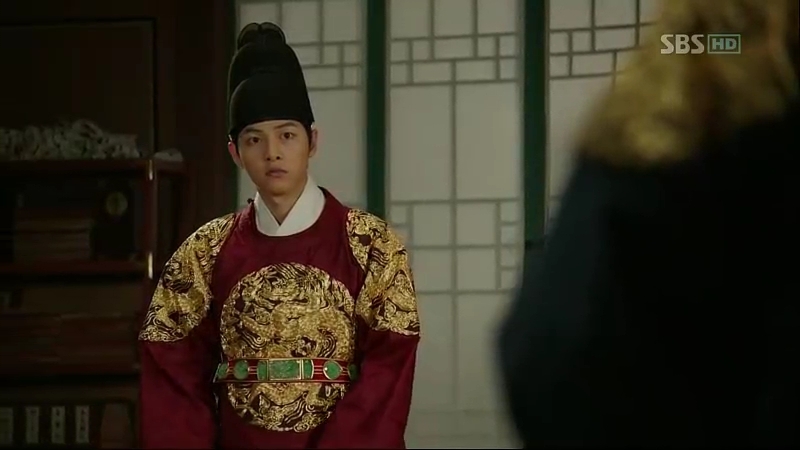 Meanwhile, the guards face off with Shim Jeong, telling him that he’s being arrested under the King’s command. Ddol-Bok, Seok-Sam, and Dam-Yi find a hiding place and afraid that his father will return to their master’s residency, he ties his father’s hands and legs and assures him that he’s going to check what’s going on. Queen Soheon (Jang Ji-Eun) gets the news about her uncle’s arrest and together with others; they are tormented while Taejong (Baek Yoon-Shik) is having a good time with his ministers and scholars. Jo Mal-Saeng comes to inform about the arrest and their confession. Taejong is curious about how his son is doing at the moment. Moo-Hyul meets Sejong (Song Joong-Ki), who is in the middle of solving the Magic Squares, to inform him about the news but he already knows. 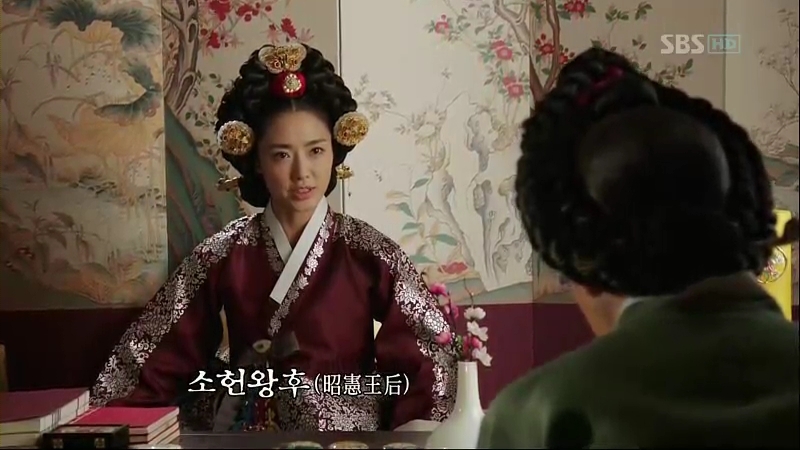 Queen Soheon comes to the room and begs Sejong to save her father whom she knows will be the next person to face death. 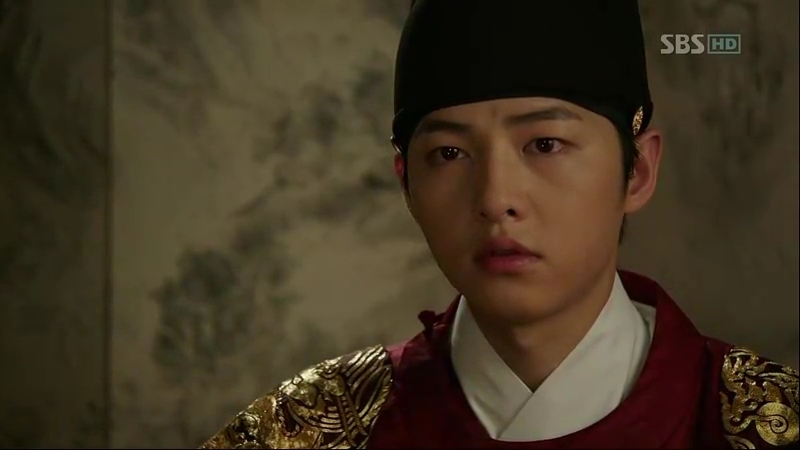 Sejong tells her to keep silence and do nothing, as he himself the King, cannot do anything about his father’s action. Soheon begs him to do something but he’s only able to say sorry. He looks at a red box on his table. All the ministers gather to get Sejong’s permission to kill the criminals. Although he knows really well that they are innocent, he gives his permission with tears and a heavy heart, knowing that he’ll never be able to come against Taejong. Walking off with slumped shoulders, Taejong is waiting for him in his study room, unknown to him. Taejong chides him about his inability to solve the puzzle and shows him how he’s going to solve it. Get rid of others, leave the top one behind. Implying it to himself, Taejong tells him that’s what exactly he’s doing. As Taejong gets ready to get rid of everyone who has the possibility to harm his son, Sejong decides to take an upper hand in the matter. 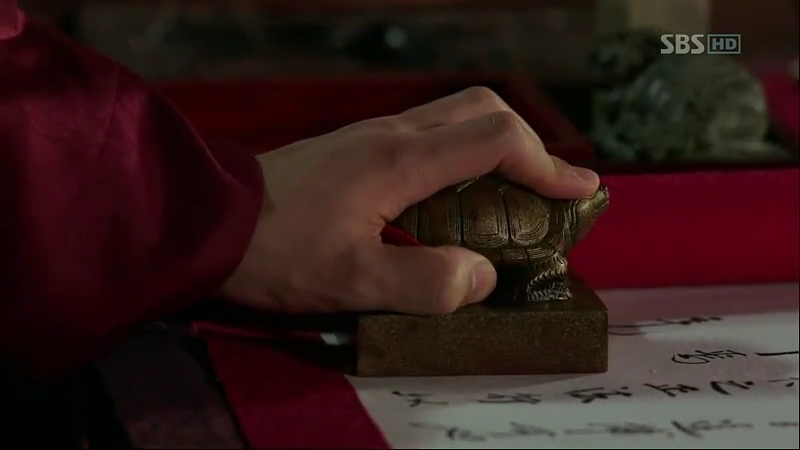 Knowing that it’s the only thing that he’s able to do, he sends a letter to his father-in-law, Shim On by entrusting it to a little court lady. She’s a bit late as the guards are already swarming around the Shim Residency and meets Dam-Yi instead. Then, the mission is entrusted to Ddol-Bok, but his father decides to do it, as what a father’s role is: to protect his son. Dam-Yi sees something wrong in the letter but she just goes along with the little court lady’s words. 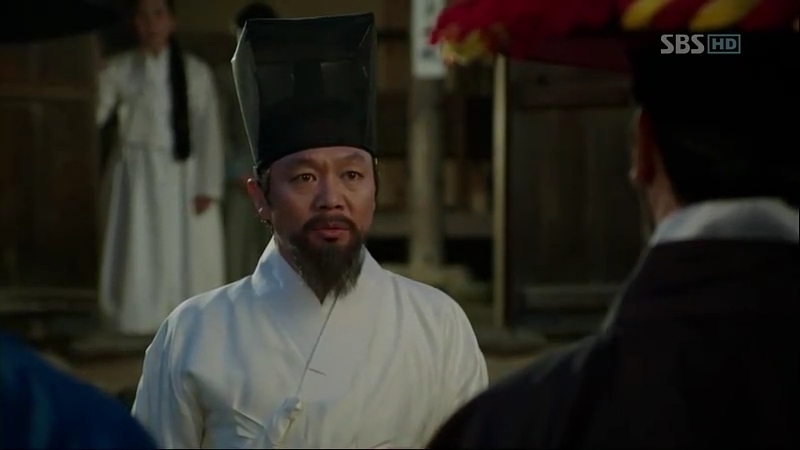 Seok-Sam finally reaches Prime Minister On who’s on his way back from Ming Dynasty and successfully delivers the letter. He’s shocked after reading the letter that tells him to attack the Former King. It turns out that the little court lady has been bribed by Jo Mal-Saeng to change the letter. On the spot, the guards arrive. 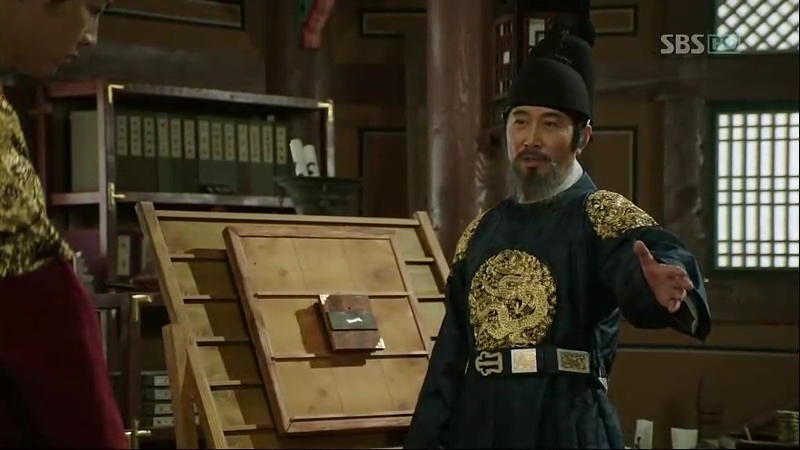 Seok-Sam is hit by a guard after he confesses that he sends the letter. Everyone is arrested and brought to the prosecutor’s place. Sejong receives the news with disbelief and knows that the letter has been switched. Seok-Sam, on the other hand, is dying and pleads his master to convey his message to Ddol-Bok. Prime Minister On asks for paper and ink to write out the message, knowing that he won’t be able come out of this alive. Taejong discusses with Jo Mal-Saeng about Prime Minister On’s sentence and Sejong overhears it. He wants to confront his father, but he retreats. Lady On, Prime Minister On’s wife is brought to the prosecutor’s place in a cage along with the servants. Ddol-Bok and Dam-Yi run towards Dam-Yi’s father but get dragged away by the guards. 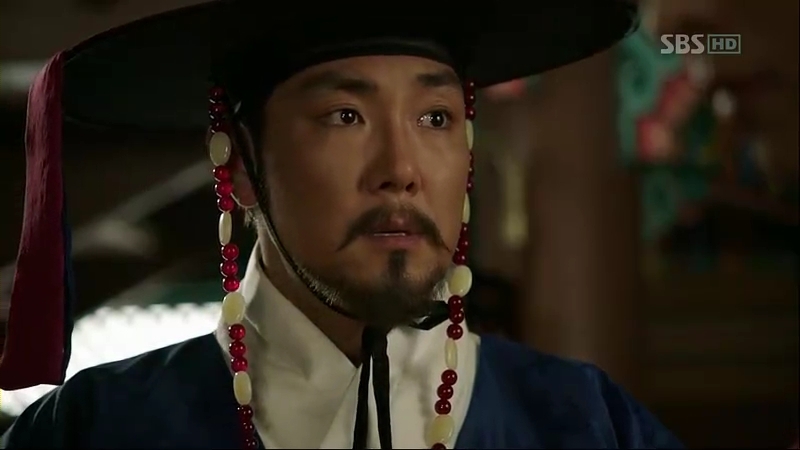 At the same time Queen Soheon confronts Sejong about the letter, Ddol-Bok accuses Dam-Yi of reading the letter wrongly in the prison, along with other servants who are in fear. Suddenly, Seok-Sam is brought into the cell, all bruised up and bloody. He hands his will to Ddol-Bok and closes his eyes forever. Again, at the same time Soheon asks Sejong about who’s the root cause behind the thing that happened, Ddol-Bok asks his dead father about who did this to him. The back story holds the key to why Chae-Yoon is harboring so much hatred towards King Sejong and at this point, it’s still not clear why he’s considering a murder for his King. 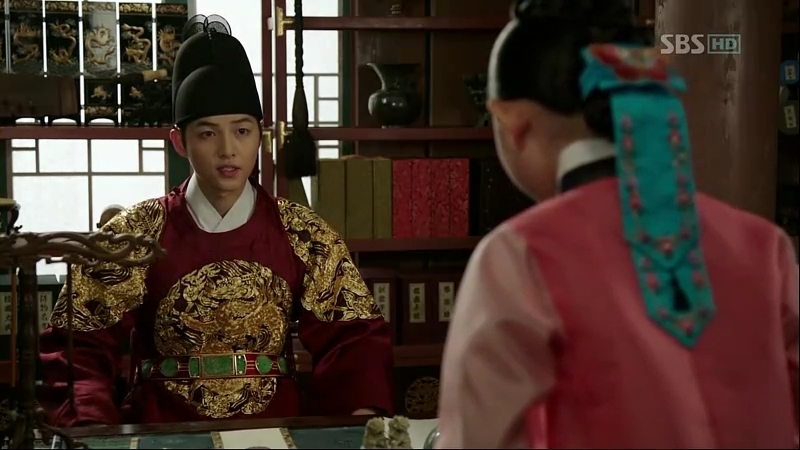 The young Sejong is almost like a puppet to Taejong, who still considers himself the Joseon’s King. His methods to teach the brilliant but weak Yi-Do (Sejong’s real name) are not usual. The Magic Square scene represents how different their mind work. While Sejong tries to blend into the problem and solving it carefully, taking all numbers involved into account, Taejong only cares about the outcome: he’s the King, so he has the authority to annihilate the numbers which hinder him from getting the best results. 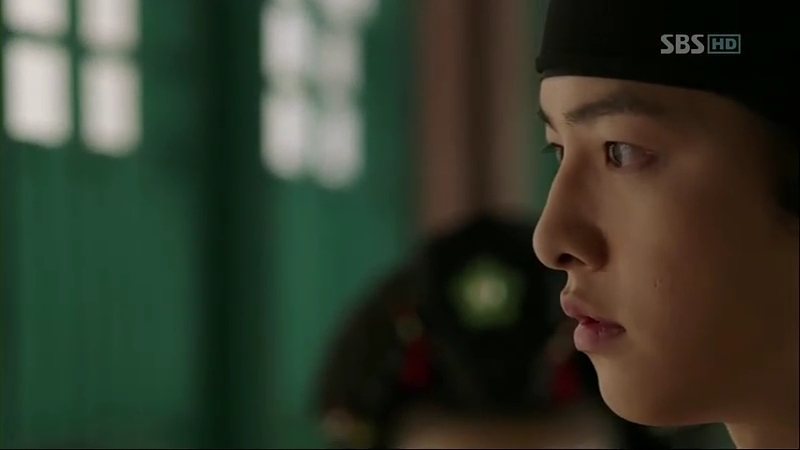 Now, all King Sejong has to do is gather some courage and stands against his ruthless father. King Taejong is indeed only interested in the outcome without care for casualties, while Sejong/Lee Do seems to be more interested in the process of solving a situation. Of course then we’d have to take into account that King Taejong was the third king of the young Chosun era, about only 20+ years of being established since his father led the Yi faction and turned over the Goryu era government. And then he only came into power after a lot of bloodshed, & betrayals even among siblings, so he is absolutely paranoid of anybody trying to usurp/takeover his power. Taejong may deserve hatred from people whom he killed, but he’s so wise. He’s actually a father who’s willing to dirty his hands with people’s blood for the sake of his successor and son. Plus, his way of teaching, although it’s unusual, shows his wisdom. 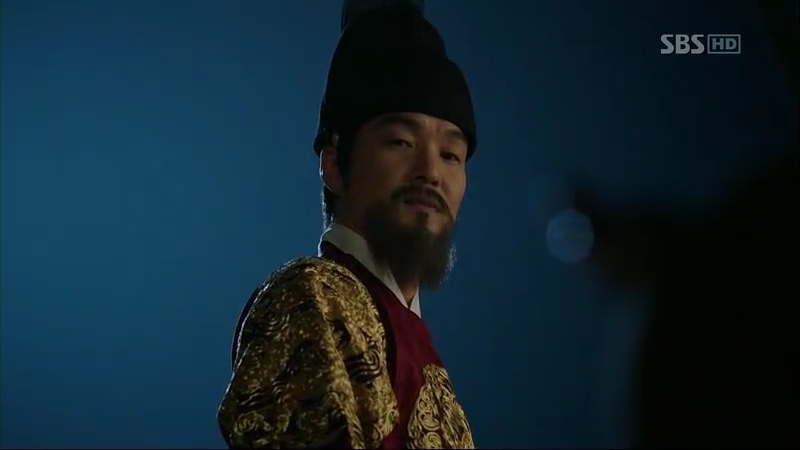 Apart from his ruthless side, I do like King Taejong, although I do wish he can give more space for Sejong. 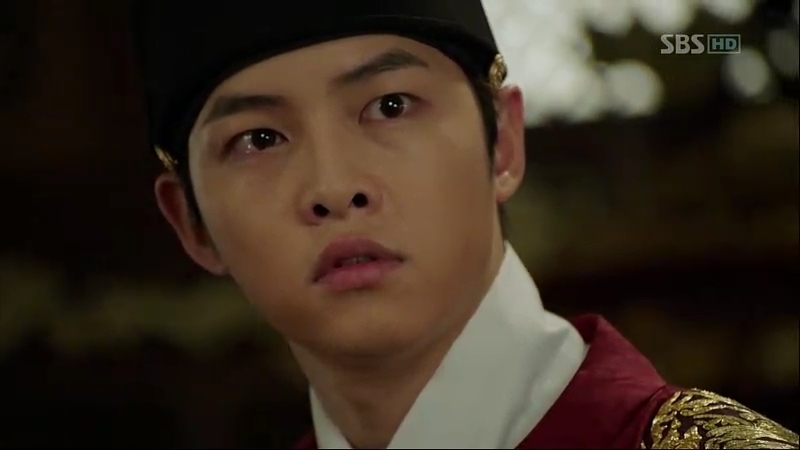 I pity the scared Sejong, who can’t do anything although he’s the real King. So powerful yet so powerless.